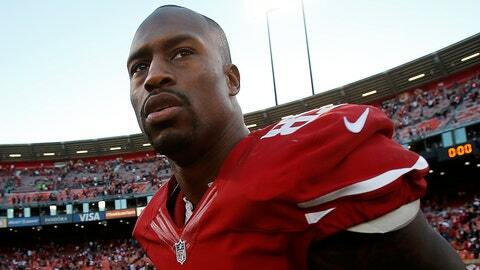 Vernon Davis lived every man’s nightmare Sunday as Rams safety T.J. McDonald brought him down by grabbing his groin. Yea, that’s not a fun time. "I’m still thinking about it. I can feel it," said Davis, who was in good spirits. "It was a crossing route, I made the play and as soon as I got my hands on the ball, (McDonald) was grabbing me right there in that space, that area, and I kept telling him, ‘Let go, get off me, get off me,’ and he wouldn’t let me go." Gotta commend Davis for not going crazy after that play. I probably would have screamed a lot and maybe even cried like Knowshon Moreno.